With 2016 drawing to a close, we’ve been taking a look back at the most notable superyacht stories to break this year, from devastating disasters to major launches that made the world sit up and take notice. Our month-by-month breakdown starts in January with the terrible news that two superyachts were badly damaged by a fire in Marmaris. The blaze started on board the 70.68 metre Lürssen yacht The One at around 2am local time on January 4 before spreading to the 52 metre Al Jadaf superyacht Barbie, which was moored alongside. Insurers Hiscox later paid out $20 million to the owner of Barbie, but the status of The One is still unknown. With 2016 drawing to a close, we’ve been taking a look back at the most notable superyacht stories to break this year, from devastating disasters to major launches that made the world sit up and take notice. 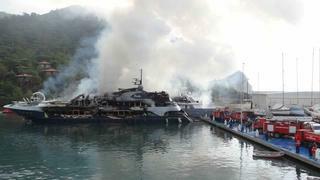 Our month-by-month breakdown starts in January with the terrible news that two superyachts were badly damaged by a fire in Marmaris. 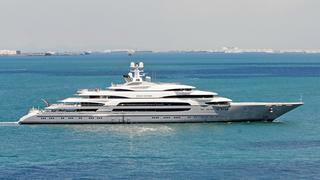 The blaze started on board the 70.68 metre Lürssen yacht The One at around 2am local time on January 4 before spreading to the 52 metre Al Jadaf superyacht Barbie, which was moored alongside. Insurers Hiscox later paid out $20 million to the owner of Barbie, but the status of The One is still unknown. Things took a more positive turn in February when explorers Cristian Donoso and Roger Rovira Rius found Alex Thomson’s first IMOCA 60 racing yacht Hugo Boss. The 18 metre monohull was abandoned in the Southern Ocean in 2006 and is believed to have travelled more than 10,000 nautical miles before being washed up in Chile’s Bernardo O’Higgins National Park. Alex Thomson Racing is currently competing in the 2016-17 Vendée Globe, with the aim of becoming the first British team to win the round-the-world sailing contest. Things took a more positive turn in February when explorers Cristian Donoso and Roger Rovira Rius found Alex Thomson’s first IMOCA 60 racing yacht Hugo Boss. 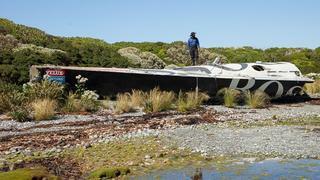 The 18 metre monohull was abandoned in the Southern Ocean in 2006 and is believed to have travelled more than 10,000 nautical miles before being washed up in Chile’s Bernardo O’Higgins National Park. Alex Thomson Racing is currently competing in the 2016-17 Vendée Globe, with the aim of becoming the first British team to win the round-the-world sailing contest. In March 2016, the superyacht world was shocked and saddened by the death of a crewmember on board the 140 metre Fincantieri Ocean Victory. Toni Hristov Kolev, a 33-year-old Bulgarian national, suffered critical leg injuries while setting the anchor off the coast of Mu Ko Similan National Park in Thailand. 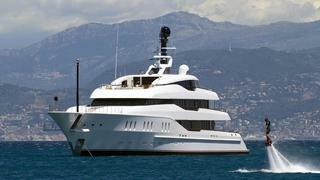 An investigation into the incident is currently underway in the yacht’s flag state, the Cayman Islands. 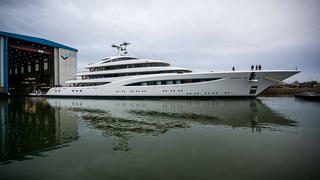 All eyes were on the Netherlands in May when Dutch yard Feadship rolled out the 66.25 metre Vanish. 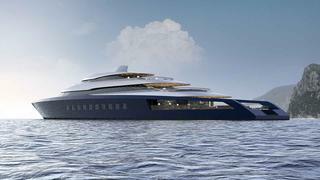 Developed in collaboration with London-based studio Eidsgaard Design, she later went on to make a splash as one of the must-see new yachts at the 2016 Monaco Yacht Show. 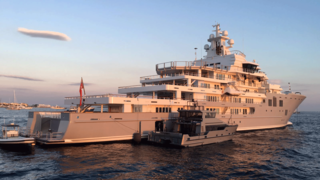 Commenting on her two superyacht helipads, Feadship director Jan-Bart Verkuyl described Vanish as “a springboard to a world of adventures for the owners and their guests”. She was officially launched in 2015, but the 156 metre Lürssen superyacht Dilbar made her grand arrival onto the world stage in 2016 with a head-turning delivery voyage to the Mediterranean in June. 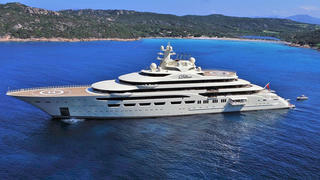 Bursting into the top 5 largest superyachts in the world by length, Dilbar claims several records, including highest gross tonnage, largest swimming pool and most powerful drivetrain. 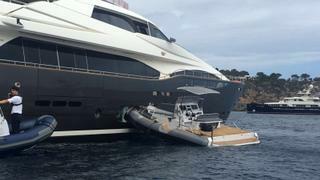 Mooring up in a busy Balearic marina can be a stressful experience for the crew, but this July saw a particularly disastrous manoeuvre play out in Ibiza. Two crewmembers were allegedly driving a tender when they fell off, leaving their unmanned speedboat to crash into a 38 metre Custom Line superyacht, causing significant damage above the waterline. One of the most unexpected launches of 2016 came out of Latvia with the news that Latitude Yachts had built two 53 metre trimarans called Galaxy and Galaxy of Happiness. These space-age superyachts were delivered to their Middle Eastern owner in August and the latter went on to make her debut at the Monaco Yacht Show just a month later. The 107 metre Kleven explorer yacht Ulysses turned heads across the French Riviera in September, anchored off during both the Cannes Yachting Festival and the Monaco Yacht Show. 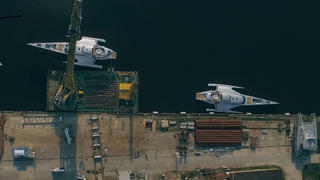 But what really caught our eye was this revealing on-board video of Ulysses, which gave the world an insight into her remarkable interiors and stunning superyacht garage. 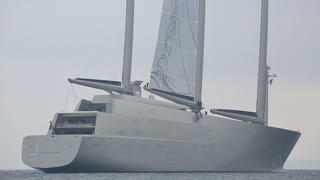 There were so many tantalising stories about the development of Sailing Yacht A this year that it’s hard to pick just one, but the most revealing came in October when this 142.81 metre Nobiskrug creation hoisted her mainsail for the first time during her second round of sea trials. With official delivery just a few months away, she is likely to keep generating headlines well into 2017. 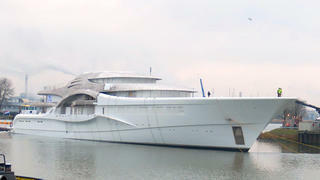 The elegantly styled 96.55 metre Feadship Project Vertigo glided out of Makkum in November. Developed in collaboration with Redman Whiteley Dixon and Azure Naval Architects, this steel hulled yacht is due for completion in February and is currently offered for sale. Standout features include a floating superyacht staircase and a double-sided fireplace, which has been finished in limestone and quartz.